← Sanders- Will he talk about the mental health crisis? As a strong advocate, I am MAD! I am no longer mad at the candidates who won’t talk about the mental health crisis. I am REALLY MAD at the mental health advocates for not joining together to send a message to Washington. For over two years now, I have pleaded with the mental health communities that deal with mental illnesses to unite. 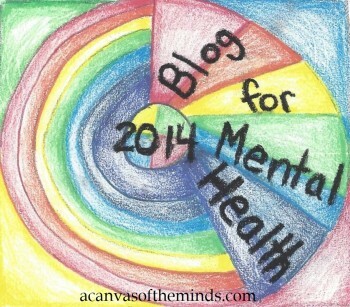 It is the only way we, as mental health advocates, are going to get our voices heard. Instead, all the advocacy groups go about their own way trying to raise awareness about their particular cause and members of the health communities complain about the mental health system. Just think of how loud our voices would be if we all spent ONE MINUTE of our day asking a candidate (or several) to talk about how to SOLVE the mental health crisis. It literally takes seconds to type or copy/paste these words: TALK ABOUT HOW TO SOLVE THE MENTAL HEALTH CRISIS. In the rest of the seconds of ONE MINUTE you could get that message out in several ways: Put it on your own page, put on a candidate’s page, tweet it, tweet it to a particular candidate and ask others to share/RT. Do you know why the candidates are not listening to our complaints about the mental health crisis? They are not taking it seriously because the advocates won’t come together and take ONE MINUTE to send one message. We want them to talk about the mental health crisis, but we are not joining hands as advocates to send the message that we want them to talk about it. By not joining together, we are doing exactly what they are counting on: NOTHING because they think we are too CRAZY to figure out a way to join together to send a message. Well, they are right- So far, we haven’t joined hands and fought with one voice. I know that advocates want something done and they all work hard every day to do so. Now, during the election, is a great time to get our voices heard. Please take that ONE MINUTE now and type or copy and paste this message and ask that others do too.